I’ve had the annual tradition of writing a blog with my choices for my albums of year for a few years (the 2018 list is coming soon! ), and recently a friend suggested/asked that I publish a list of some of the books I’ve loved this year as well. This is a non-exhaustive list, but my heart and mind (and thus in many cases, my lifestyle) have been shaped by each of these books to various degrees. In no particular order and the only qualification is that these are all books that I read for the first time in 2018, regardless of publication date. Any re-reads didn’t make the cut, but on that note - a few notable re-reads this year are Outcasts United (St. John), Garden City (Comer), and Walking with the Poor (Myers), all of which I will likely read again. They’re just that good. My top 10 choices for 2018 are the ones with an *asterisk. I had to read this book slowly. Not because it was poorly written or wasn’t engaging (it’s quite the opposite on all counts), but because it’s too important to rush through. I listened to this one on audio-book too, finding myself thinking and praying through the concepts and stories within while at the gym or on a walk or on my commute to and from work. It challenges me in ways that I’m thankful for, even if those ways are uncomfortable. Incredibly well written, compelling, hope-filled, and so important. This book gripped me. And made me want to go work in Uganda (which is, admittedly, not a hard think to make me want to do). And it certainly added the name Gladys Kalibbala to my list of heroes. Gladys is based in Kampala and writes a newspaper column called “Lost and Abandoned,” in which she briefly profiles kids who have lost track of their families. The hope is that a family member or relative will read the column and recognize a child who has gone missing or been separated from familiar adults. Sometimes reunions are the result. But often they are not, and that’s when Gladys becomes deeply engaged in helping lost children who come her way. 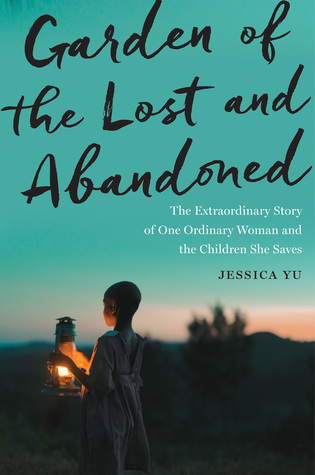 Jessica Yu met Gladys when she was researching a documentary in Uganda. She followed her on and off for four years, capturing in real time many of the dramatic rescues, and occasional failures, of the woman police or social service agencies call when they have another stray child in custody. The result is a collection of stories where you get to know many of the kids that she rescues and Gladys endless resolve to do whatever she possibly can to help Kampala’s lost and abandoned kiddos. I read this book the week it came out, Nick and I listened to it via audiobook on our Washington-Oregon-California road-trip in the spring, and then I read it again later in the year. I love Bob’s way of engaging with the world and with people and the narrative style he brings to conversations about what it means to be Love and become Love. This one challenged me and emboldened me: reminding me that the depth and reach of God’s love to us should translate to a deep and sacrificial love for those around us. And I’m entirely convinced the task of loving everybody, always, is the clearest overflow of a life of faith. This is the grittiest, most honest, and (thus) most challenging exploration of Gospel motivated hospitality that I’ve read. And thus, I think it’s a pretty close vision of what God might want our homes and lives lived out generously with and for our neighbours to look like. This book is challenging and invitational. Butterfield shares her own story as the backdrop for countless stories of neighbours turned friends turned family, always keeping her eyes on the importance of generosity, community, and life together. This is the most theological and academic of the books on this list, but goodness, this book was a worthwhile read to work through. Lister systematically dives into the concept of God’s presence with man as one of the central guiding concepts of Scripture. To Lister, the divine presence of God is “not a mystical feeling or emotional charge,” but a “theme on which the story of Scripture hinges.” Real talk: I often get a bit lost or bogged down in the Old Testament and the perspective Lister unpacks brought clarity and vision the whole narrative of Scripture from creation to redemption in a way that was really refreshing and awe-inspiring. Also - the last chapter (which explored some of the ways that the presence of God informs the way we live our lives today) was one of the best guiding ideas for the vision of the church, mission, faithful lives lived with and for Jesus, etc. I’m not joking when I say this is a book that I want to make required reading for everyone who claims Canadian citizenship. It’s hard to read, but we need to read this. We need to wrestle with these realities and get angry/sad/all-of-the-above about the ways we’ve systemically mistreated our own people. It’s written in an incredibly accessible and straight-forward fashion (and is not too long), yet systematically unpacks the socioeconomic, sociopolitical, and socioculutral marginalization that our First Nations Peoples have faced - almost strategically - under the Indian Act (which is still in effect today). The topical exploration of the (oppressive) policies within the Indian Act lead into Truth and Reconciliation Commission of Canada’s Recommendations in a way that bring a deeper historical and political understanding to these recommendations. It’s heartbreaking and angering and yet, points forward with hope. Simply put: It’s a must-read for Canadians. This book is harrowingly beautiful. I don’t know how else to describe it. The novel traces the story of Saul Indian Horse, an unexpected Ojibway hockey star. This narrative is set against 1960’s Canadian culture - exposing the realities of racial discrimination on and off the ice (including, but not limited to the realities of being forced to attend a residential school). Throughout the story, Saul wants peace: peace for himself, peace in his own story, peace for his people. One incredibly beautiful undercurrent throughout is the way that Saul does find some healing when he begins to tell his story - without shame and with great boldness. And so, the readers journey with him through his life as a northern Ojibway, through both deep joy and deep sorrow. *10. The Displaced: Refugee Writers on Refugee Lives - Viet Thanh Nguyen et all. The single most beautiful thing about this book is that it’s a collection of essays written by Refugee writers sharing their own lived experience(s). These stories vary dramatically (even in that gloriously breaking down the “stereotypes” of what refugees may look like or come from) and and yet they have a similar undercurrent: a search for belonging, in one’s culture, in one’s home, in one’s lived experience, and even in one’s own skin. The style of each essay differs dramatically as well, as if to remind us that “refugees” are not a mould to be replicate in thought and perspective. The Home that Was our Country follows Malek (a civil and human rights lawyer) as she struggles to reclaim her grandmother’s Damascus home, her family narrative, and her country’s history. What follows is a throughly researched, yet personal narrative driven history of Syria’s civil war, with the unique perspective of course, that this is not written from the perspective of looking back at a nation that was in war, it’s both the history and current reality of a nation still in war (written through 2013 with an appendix written in 2016). This book was detailed and reads at times more like a detailed political history than a true memoir, but I found it be beneficial in giving a better understanding and background of the (ongoing) generational conflict in Syria as well as the vibrancy and resilience of her people. This book is complicated, beautifully written, and enthralling. I read the entire thing in 2 days, because the story gripped me. Westover is an incredible writer - there isn’t a part of the story that falls flat or feels unimportant. 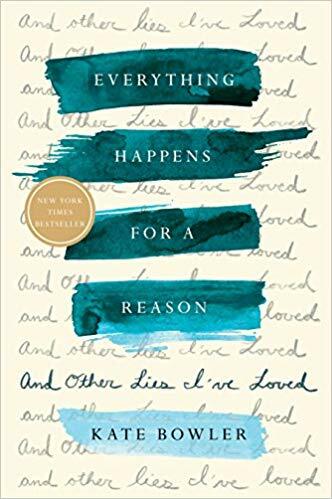 Most notably too, she explores her own story with a critical and gracious eye, choosing empathy over sweeping generalizations (specifically of her fundamentalist family and her own journey with abuse), and yet she works through deep pain and a broken past with a brave courage that’s admirable. Maathai is the first Kenyan woman to earn a Ph.D. and in 2004, she was the first environmentalist to win the Nobel Peace Prize (for her decades of environmental efforts with the Green Belt Movement in Kenya). Her memoir opens up the reality of her story and the barriers - many systematic and violent - she had to fight and endure while he pursued her education, career in politics, and work in policy-making. What it also shows is her deep-rooted love and commitment to her native Kenya, despite the trials she endured to shape the nation’s future beyond systemic sexism and tribalism. Maathai is truly a legend and prior to reading Unbowed I had heard only snippets of her story, which is a shame, because she’s a woman to admire and emulate. THIS BOOK. Clemantine was 6-years old when the genocide in Rwanda forced her and her old sister to flee their home, taking them on a journey lasting 6-years through seven African countries, before being eventually resettled in Chicago. There are a few particular things about this book that I still can’t shake: the kindness of the refugee community and the people they encounter in their journey through Africa and the way that simple kindness, even in the midst of the darkest parts of what a human can know or experience, can be such an example of generous belonging; the very different realities for Clemantine and her sister (a single-mum) when they were granted refugee status in the States: one welcomed with opportunity and wealth, the other (simply based on age and because she had children), largely left to navigate the upheaval and resettlement on her own; and, most notably, how Clemantine wrestles with the idea of being a “victim”, while bravely endevouring to build a life of her own and on her own terms. It’s one I’ll certainly come back to again. A Moonless, Starless Sky “weaves together four narratives that form a tapestry of modern Africa: a young couple, kidnap victims of Joseph Kony's LRA; a Mauritanian waging a lonely campaign against modern-day slavery; a women's basketball team flourishing amid war-torn Somalia; and a vigilante who takes up arms against the extremist group Boko Haram.” Throughout, Okeowo explores these narratives carefully, letting the stories themselves speak to the stunning reality of ordinary people doing extraordinary things, including courageously living into spaces beyond the cultural/gender/economic/etc. prescriptions that they are told to accept. 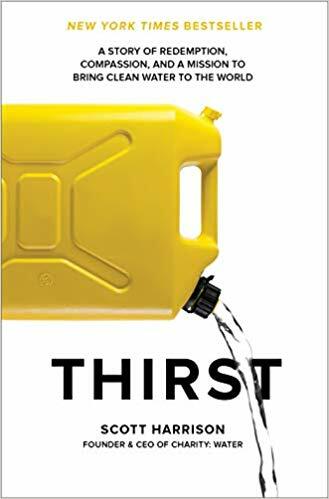 Thirst tells Scott Harrison’s story: a story of a successful New York club promoter turned (eventual) CEO of charity:water, one of the most successful non-profit organizations currently in operation, having (so far) raised $300 million to fund over 29,000 water projects in 26 countries around the globe. The memoir shows that Scott’s own story and transformation (and moral/social awakening) can’t be separated from the story of charity:water and the narrative of both is an incredibly inspiring read. One of the central areas of growth/maturity in my life in recent years has been to celebrate the holiness of the everyday - the spaces where the grace, sufficiency, and goodness of God meet us in the seemingly mundane or ordinary. Warren’s book is an accessible exploration of this, walking the reader through various areas of our lives and practices we partake in (both intentionally and sometimes entirely by default) and pointing us to see that these tasks and practices and realities are evidence of God’s presence with us and thus more meaningful that we often give them credit for. I appreciated this book on multiple levels. Bowler writes with an ease and familiarity that feels like reading e-mails from a dear friend, yet she’s grappling with major questions of meaning, life, and faith. The backdrop of her cancer diagnosis in her 30’s against her expertise as a researcher in the history of the prosperity gospel movement sets this up to be a unique juxtaposition from the start, but it’s her rawness and humanity that makes it a true gem, searching throughout for the substance behind what we believe, rather than the pretense or pithy phrases we too easily throw around in times of pain, loss, and the darkness of the unknown. She also provides some valuable insight for how to engage with pain and hard news well - i.e. things to says, things not to say, things to do, things not to do, etc. and everything she says is spot on. I love Michelle. I love her kindness and her resilience and her grace and I love that she’s as disappointed/angered by the toxic adversarial landscape of Western politics as many/most people are. This book is a narrative - and invitation to being human together and honouring our stories, experiences, and the fabric of what makes up our lives together. It’s not a political platform or a partisan plea. I love the way she sees inspiration in women and how committed she is to her home neighbourhood and to breaking down barriers to education, employment, and safety for not only Chicago’s marginalized urban communities, but also many similar communities around the globe. This book is beautifully written, inviting us into her story and her growth as an individual, academic, professional, policy maker, community leader, wife, mother, sister, daughter, friend, and (for 8 years) the First Lady of the United States. A critically acclaimed travel & wilderness book, Chatwin’s classic lives up to the hype. He’s an nomad and a wanderer, and this book feels a bit like getting to be a part of that exploration with him, where he doesn’t extend any unnecessary effort in telling the stories of the journey, simply recounting them with accuracy and wonder (as the author perceived it) as they are unfolding, albeit in an almost startling format (it’s written in 97 essays ranging dramatically in focus and length). Basically this book left me with one central question: When can we book a flight to Argentina/Chile? ?